I was fortunate to attend the conference session of BaseEUcities in Brussels late last month. Sandrine Dixson Decleve (chair BaseEUCities advisory board, and Director CISL) introduced the day as being in ‘the presence of greatness’, and undoubtedly that was to be the case, not only from the speakers and panelists but in discussions throughout the networking sessions. Rifkin’s delivery at BaseEUCities was just under an hour of linked thoughts, without aids or slides, and this is his skill, to connect and articulate a number of seemingly disconnected concepts into economic theories. At a private conference dinner the evening before, where Rifkin also spoke, Jorgen Randers, (a distinguished Norwegian economist and author of 2052 A Global Forecast for the Next 40 years, a much acclaimed sustainability publication) wasn’t too happy with Rifkin’s delivery, comparing it to building blocks being throw at you, rather than carefully constructed into a solid wall of economic theory. Frank Schwallba-Hoth (Founder of Green Party, Germany) responded that whilst you may or may not agree with Rifkin, his delivery, thinking and conclusions were to be admired. And I agree, it is necessary to move away from a limiting cause and effect approach, the world isn’t like that anymore, if it ever was. We need more of Rikfin’s style, more complexity theory thinking – of fractuals thinking and emergence from simple rules. Graeme Moxton Sec Gen Club of Rome, added to the debate at the conference, arguing for political change and leadership for redistribution of wealth, energy and that greening is not negative for GDP growth but vital. Listening to and participating in the days debates (in particularly listening to and reading extracts from Rifkin) you cannot help but think of the emergence of BIM, (Building Information Management) and how it is now transforming the AEC (Architecture, Engineering and Construction) sector. Is BIM innovative and contributing to and shaping the third industrial revolution? or is it a consequence of the convergence of digital communications, new energy thinking and innovations in transportation? Which ever way it is, is BIM taking us towards a Rifkin future of Zero Marginal Costs? Once we have, for eg, standard digital construction models, when each building is an energy production unit and we are 3D printing with local materials, the price of construction will tumble close to zero marginal cost, determined by the market, not by the cost of production. As has, music, books and other commodities following suit..
And it isn’t all positive news. 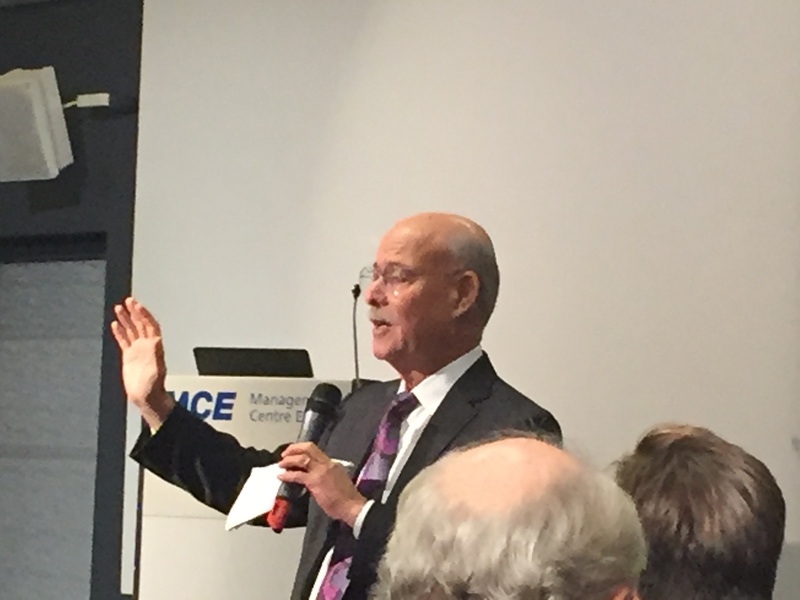 Rifkin talked of the dangers in externalising the nervous system of human race through Internet of Things , Alexander Der Croo Deputy Prime Minister of Belgium, who kicked off the conference, championing the digital era, warned that the IoT has a 1984 dark side we must all guard against. And the sustainability dimension? After two industrial revolutions and now seemingly unsolvable climate change, our eco systems just cannot keep up with our interference, and as Rifkin commented “there is no guarantee for our species” – making the ending of using fossil fuel and emergence of restorative and regenerative sustainability so utterly vital. This entry was posted in comment and tagged 2052, AEC, Alexander Der Croo, BaseEUCities, BIM, Club of Rome, Frank Schwallba-Hoth, FutuREstorative, Graeme Moxton, Internet of Things, John Elkington, Jorgen Randers, restorative sustainability, sustainability, Third Industrial Revolution on November 3, 2015 by martin brown.